Do you want to get to know 3 ‘n 1 Construction and what motivates us? The team at TrustedSaskatoon.com wrote the article about a situation that 3 ‘n 1 got involved with a few years ago.  We are proud to stand for integrity and honesty in the Saskatoon construction industry. That’s what it says on the busienss card of Ken Eade, the owner of 3 ‘n 1 Construction. This is why when he heard a sad story about a local woman Lorraine Denie, who had been ripped off by a ‘Con man Saskatoon Roofer ‘ Ken felt he had to call her to get the full story and to see if he could help in some way. Ken spoke to Lorraine, she told him that she had got a quote for new shingles on her modest east side Saskatoon home from the owner of a company called ‘ Saviour Roofing’. The man asked for a sizeable deposit to pay for all materials, and as he portrayed himself very convincingly as an honest church going family man, Lorraine didn’t hesitate in trusting him and she handed over the money. He never came back, the cell number was disconnected, and when she checked afterwards the company was not propoerly registered. This Saskatoon roofer was a Con Man and had disappeared along with her money. She was devasted, both emotionally and financially.He later called to say that her had spent her money on his addiction and the work wouldn’t be happening…BEWARE this happens MORE than you think! After hearing this sad tale Ken was moved into action. He immediately called his 3 ‘n1 Construction team together, and after hearing the story they didn’t think twice about offering their services for a day without pay to cover the labour costs on the roofing work. Ken is so proud that his team made the decision to take a day away from their familys and their own recreation time to help Lorraine and her family in their time of need. Ken then approached his suppliers KENROC Building Materials, hoping they might be interested in donating some supplies. Kenroc did more than that, after hearing the story and sharing it with their head office in Regina, they quickly got back to Ken to tell him they would use their community fund to donate EVERYTHING required to do the job, to help Lorraine! They really appreciated Ken giving them the opportunity to be involved, and it is clear, like Ken they stand for integrity and commit to honest business practices. Ken called Lorraine to tell her the good news and she simply couldn’t believe it! From a bad experience with a ‘contractor’ that ripped her off and left her devastated, to being approached by a caring stranger Ken and his equally caring supplier who ended up coming to her families rescue. They had no other motivation than just wanting to help her out and put things right! Ken called the Trusted Saskatoon team to share the story with us, and to see if we could help get the word out that ‘ con men ‘ were in Saskatoon doing this to people. We are so proud of him and his kind heart, and we asked if we could help out in anyway. It seems he and Kenroc had everything covered as far as the re-roofing was going, so what else could we do we wondered ? See the video for an interview with Lorraine , Ken and Matt from Kenroc…. Thumbs up to all! !